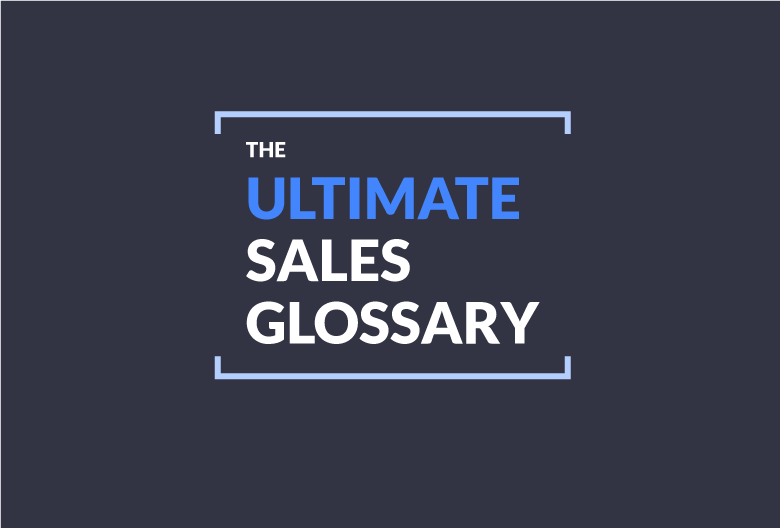 Whether you’re new to SaaS, new to sales, or just want to brush up on your sales terms, Propeller’s Ultimate Sales Glossary has got you covered. We’ve put together a list of 24 common sales terms you need to know. So if you’re a marketing expert, you can communicate better with the folks over in sales; and if you’re an aspiring entrepreneur, you can nail the lingo right out of the gate. The amount of revenue generated each month from subscriptions to your product or service. Understanding MRR provides you with a more comprehensive understanding of your business’ health and growth trajectory. Also known as user lifetime value (LTV), CLV represents the total value of a customer over their lifetime with your company. CLV is influenced by the length of the customer lifecycle, your customer retention rate, churn rate, and average profit margins per customer. A business’ projection of a customer’s total lifetime value. This is considered an accurate method of assessing CLV. The cost of acquiring a new customer. This metric allows you to evaluate the cost and value of scaling up your business. Learning how to control and lower your CAC makes it possible to minimize the cost of landing new customers and maximize your profits. The easiest way to calculate CAC is dividing the time and money spent on customer acquisition for a given period by the number of new customers acquired. For a more detailed approach, there is another CAC formula that breaks down acquisition costs into specific sales and marketing expenses. For example, spending money on PPC campaigns, retargeting, and banner ads all contribute to CAC and could be worked into the equation. The percentage of website visitors who become registered users. Calculated by simply dividing the number of landing page visitors by the number of visitors who registered for the service. The percentage of consumers who become paying customers. This metric only includes customers who have converted into premium or paying account holders – not the number of users who signed up for the free trial or are using a freemium option. Calculated by dividing the number of registered users by the number of users who started paying over a given period. A more in-depth type of the pipeline, in which opportunities in each stage are assigned a value based on how likely they are to close. Since not every opportunity leads to a sale, this method allows you to forecast sales revenue more accurately. The further along a deal is in your pipeline, the more likely it is to close and the more weight it is given in your forecasts. A 10-point rating system that allows you to measure your customers’ happiness, loyalty, and odds of referring new customers to your business. You can use NPS to identify brand advocates that might be willing to provide referrals as well as unsatisfied customers who might leave if their concerns are not addressed. Software that streamlines customer relationship management by automating repetitive tasks and tracking customer data. The three main types of CRM systems are operational, analytical, and collaborative – though many CRM tools are a mix of the three. The most common type of CRM, an operational CRM is designed to help manage a business’ day-to-day marketing, sales, and customer service operations. Features include marketing automation (like initiating an email campaign when a new prospect enters the system), sales force automation (like pipeline management, customer tracking, and onboarding), and customer service automation. A CRM system focused on making it easier to collect and analyze customer data, which makes it simpler to manage and track customer acquisition, customer retention, and other buyer behaviors. Designed to improve customer experience by streamlining communication between the customer and the business as well as between sales, marketing, and other stakeholders. Collaborative CRMs make it easier to track and share customer data across all departments, which allows you to provide a consistent multi-channel customer experience. A system created by IBM to determine how likely a lead is to become a customer. This framework looks at four factors that influence purchasing decisions: budget, authority, need, and timeline. A revised take on the traditional BANT framework tailored to SaaS businesses. In this updated model, budget becomes priority; authority becomes the customer’s decision-making process; need becomes impact on the customer’s business; and timeline changes to critical customer event. A sales representative who conducts most of their business online and over the phone. An inside salesperson typically handles smaller accounts than field reps and is one of the first sales roles SaaS companies hire for when expanding their team. A top-of-the-funnel sales role focused on identifying qualified opportunities for your team. They under who your ideal customer is, how to build lists, and how to connect with decision-makers. Often the first point of contact for a new prospect, a sales development rep’s goal is not to close deals, but to set as many qualified meetings and demos as possible. A traveling salesperson who visits potential customers to pitch products and services in person. Their primary objective is to land new clients and make sales. They typically handle much larger accounts than inside sales reps and may not be a necessary hire unless you’re selling expensive products with a lengthy sales cycle and pitching to enterprise-class businesses. A quota-carrying rep responsible for managing existing customer accounts. They consult with prospects to learn about their objectives, negotiate contracts, upsell to current customers, and address customer concerns. It’s crucial for account executives to be able to clearly explain your company’s value proposition as it relates to a specific customer’s needs. Part engineer, part sales rep, a sales engineer understands the ins and outs of your company’s solution so well that they can clearly communicate technical details and benefits in laymen’s terms. Also known as solution architects and pre-sale engineers, sales engineers support other sales reps by answering technical questions and conducting product demos for qualified leads. A prospect that has shown interest in your business or products. They’re not quite ready to make a purchase, but are ready to meet with a sales development rep. Properly nurturing an MQL can turn them into an SQL. A prospective customer that has demonstrated intent to buy. An SQL has been vetted by your marketing and sales teams, meets your lead qualification criteria, and is ready to be handed off to a quota-carrying sales rep.
A visual approach to managing your sales process. A sales pipeline reveals where each of your leads are in the buyer’s journey and helps you visualize how many ongoing opportunities you have. How full your pipeline is relative to your sales quota. This metric reveals whether you have enough business coming down the pipeline to continue meeting your goals for the foreseeable future. Our Glossary is Expanding – Check Back Soon for More SaaS Terms! We’ll continue updating our sales glossary over the next few weeks. Feel free to let us know if there are specific terms you’d like to see included!